When it comes to engaging on Twitter, Coca Cola has a huge organic opportunity that they seem to be ignoring. So instead of resorting to automated campaigns that result in embarrassment, they should get back to basics. Last week wasn’t great for Coca Cola. On Wednesday the brand pulled its automated #MakeItHappy social campaign. The campaign auto tweeted ASCII images based on negative tweets. In response, Gawker created a bot that submitted passages from Mein Kampf. Sure enough, the campaign tweeted them. And that got me wondering….just how well is Coca Cola utilising Twitter? The @CocaCola account is far and away the most important to the brand. @CocaCola has 2.85 million followers, follows 67,815 and has tweeted 125,000 times. According to Status People 57 per cent of these followers are “Good”. That’s a potential audience of 1.6 million. 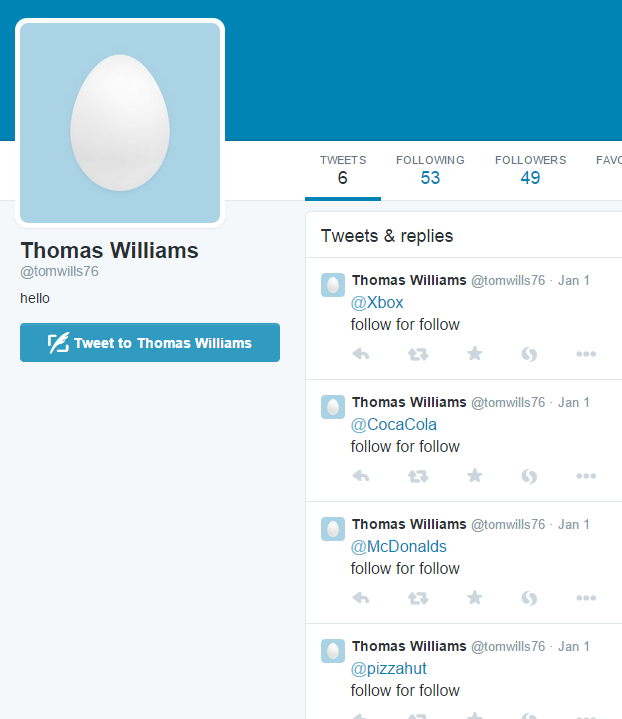 It has six times more followers than the next most popular Coca Cola account. The rest of the analysis therefore focuses on this account. CocaCola will have appeared to be silent to its followers for most of the last six months. Almost all the activity on the @CocaCola account in the last six months has been @replies. This includes those #MakeItHappy tweets. @replies are only seen by people who follow both accounts involved in the conversation. This means a tiny fraction of @CocaCola’s followers will have seen these tweets. Apart from replies, they have only tweeted four times and retweeted three times. The last occasion was in November last year. Coca Cola are ignoring high profile “fan” accounts that have massive organic reach potential, both within and outside of Twitter. @CocaCola follows 67,815 accounts. A lot less than their follower count, but still a big number. But it’s not the number they follow that’s the most surprising thing, it’s the apparent lack of logic or strategy. Many of these accounts even have strong links to the brand. Will I Am, Agnez Mo, FIFA, Adventure Girl and the Olympics. 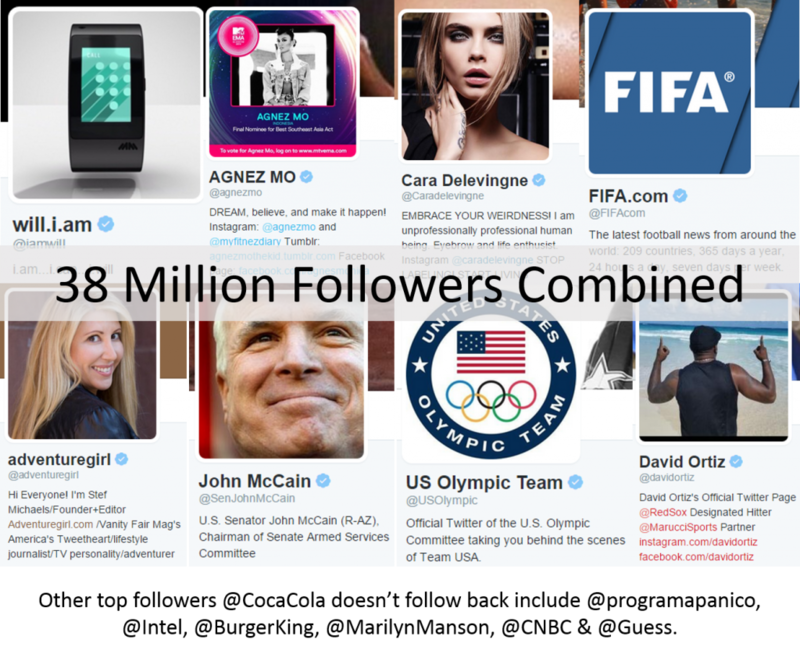 The 8 accounts pictured have a gross follower count of over 38 million. I also spotted other similar high profile “fan accounts”, the top 25 of which totaled 70 million followers. That’s a huge potential audience to tap into, even allowing for duplication or fakes. Plus, high profile people and organisations like these have a reach that goes way beyond Twitter. Coca Cola has a significant organic reach of its own on Twitter. It replies to individual fans, but it isn’t saying anything to the wider community. It follows accounts that don’t even tweet. Meanwhile it has high profile followers with even greater reach than their own that it doesn’t follow back. Instead of investing in an automated campaign, a better strategy would be to get back to basics. 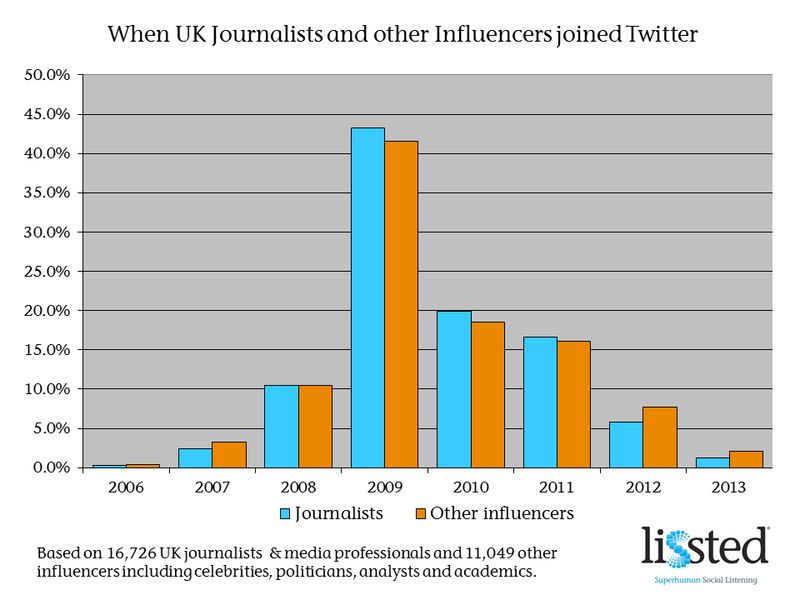 To carry out the analysis I used Lissted’s database of 1.8 million of the most influential accounts on Twitter.